PrestaShop provides more than 250,000 online store owners in 165 countries with the most powerful, dynamic and international ecommerce software, enriched with hundreds of innovative tools, to build and manage a successful online store at no cost. Our team includes over 130 passionate professional e-commerce enthusiasts dedicated to providing merchants with the best e-commerce solution. With our headquarters in Paris, offices in Miami, San Francisco, Berlin, Brussels, Milan and Barcelona, we have positioned ourselves as the world’s no.1 open source eCommerce platform. Do you want to shape the world of e-Commerce? 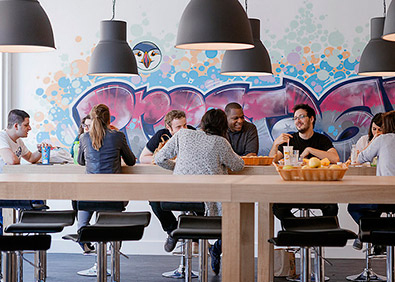 Do you want to work for a fast-growing open-source software company? Do you want to grow in an international environment? If this all sounds good to you, let us know you want to join the fun!